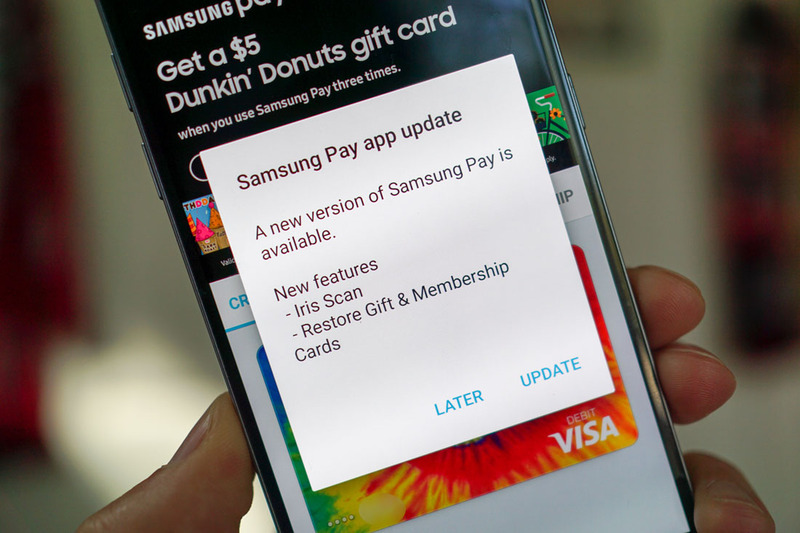 Samsung Pay v2.3 is available for download on your compatible Galaxy devices. 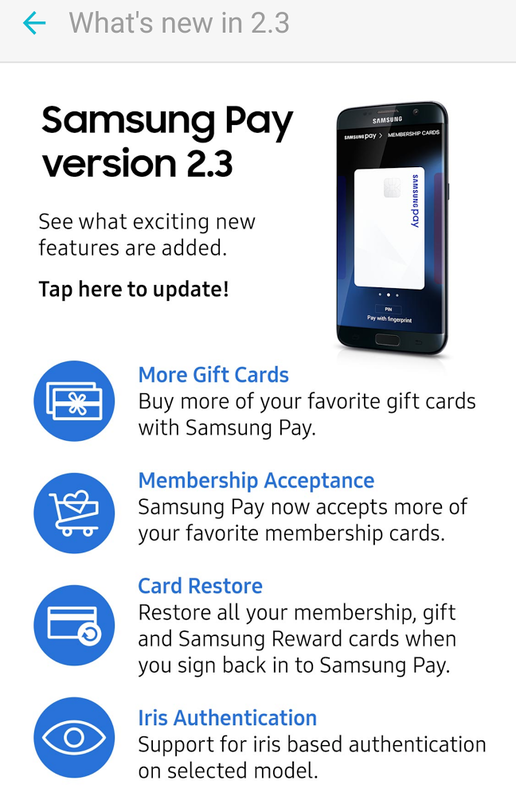 In the update, Samsung says that the mobile payment system now supports “more of your favorite gift cards” and membership cards, restores those cards when you sign back in to Samsung Pay, and supports “iris based authentication” on supported phones. There is a single phone with an iris scanner at the moment, the Galaxy Note 7, so should you find yourself in the possession of the non-exploding variety, give the iris scanning a go! To update, open Samsung Pay, hit the “More” button in the top right of the app, then “Announcements,” then jump into the “What’s new in 2.3” announcement to see the changelog. Once you have checked that out, tap anywhere on the announcement to load the update page.